New Jersey is the latest state to pass legislation that will affect the amount a radiology practice can collect from patients whose insurance is not accepted by the practice. While an imaging center would be careful to work with their patients in advance of providing services, the hospital setting does not always afford that opportunity. It is imperative that you know the laws not only in the state(s) where you practice but also to keep abreast of federal regulations that might impact your billing and collections. Services provided “in-network” are those for which the physician has a contract with the payer, and payment will be made to the physician at a rate established under the terms of that contract. 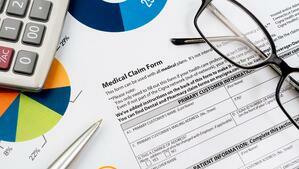 The patient will typically have responsibility for a deductible, copayment or coinsurance amount. When patients receive services “out-of-network” it often means that their insurance plan will not make any payment for that service directly to the practice. The entire cost of the out of network service will be billed to the patient at the physician’s full fee schedule amount. While many insurance plans do make payment for out of network services, it is impossible to know in advance of the service the amount of coverage the plan will provide. In addition, the patient will likely be subject to a very high deductible or coinsurance with the result that the patient ends up paying a much larger amount than if the services were provided in-network. The “balance billing” or “out-of-network” laws being proposed and enacted across the country are intended to reduce both the uncertainty and the higher level of patients’ liability for payment when they receive services out of network. The New Jersey law, which is effective September 1, 2018, places a limit on the amount the physician can bill the patient for out-of-network services that are provided on an emergency or urgent basis. It also applies to “inadvertent out-of-network services” – this describes the situation where, for example, the hospital is in the patient’s network but the radiology group is not. In the case of either emergency or inadvertent services, the radiology group may not bill the patient more than the patient’s deductible, copayment or coinsurance amount applicable to in-network services pursuant to the patient’s health benefits plan. It is the responsibility of the insurance carrier to ensure that the patient incurs no greater out-of-pocket cost than he or she would have incurred with an in-network provider. Under the NJ law, insurance benefits will be assigned to the radiology group and the carrier will pay any reimbursement directly to the practice, along with a remittance advice that specifies the full reimbursement amount as well as the portion for which the patient is responsible. This will give the practice the information needed to accurately bill the patient. For non-emergency or elective procedures, the bill requires hospitals to disclose to the patient whether it is in- or out-of-network for the patient’s plan before an appointment is scheduled and explain the difference in financial responsibility the patient will have by selecting either an in- or out-of-network hospital. The hospital also must advise the patient to check with the physician who will be providing the hospital services to ascertain the physician’s status with the patient’s plan. The hospital must make available its list of standard charges for items and services, and post on its website certain information about the plans it participates with, along with contact information for its hospital-based physicians such as radiology, anesthesiology and pathology. Physicians are also required to provide information to the public, either in writing or on the website, about the plans with which they participate and the hospitals where they are affiliated. Whenever the practice sees a patient who would be out-of-network, the patient must be informed of this before a procedure is scheduled. At the patient’s request, an estimate of the amount the patient will be billed along with the CPT codes to be billed must be provided in writing, along with the statement that these amounts will be greater than the patient’s deductible, copayment or coinsurance. Beginning September 1, 2018, patients receiving emergency or urgently needed services in New Jersey will not be required to pay any more than the deductible, copayment or coinsurance they would normally pay whether the hospital and/or its physicians are in-network or out-of-network with the patient’s insurance plan. Patients who see an out-of-network physician for non-emergency or elective procedures may still be billed at the physician’s regular fee schedule, but they must have the opportunity to review those expected charges before making an appointment for the procedure. This law is intended to help patients avoid the surprise of large, unexpected bills after their medical services are completed contains both financial liability caps and disclosure requirements for out-of-network services. Laws similar to this one in NJ will certainly be passed in many states, and so radiologists and other specialty physicians must be in tune with the laws in each of the states where they practice. Subscribe to this blog for more articles like this one. How Can Your Radiology Practice Maximize Its MIPS Score?